My adventure with the English Bulldog began about twenty years’ ago, when I bought puppy-boy at a fair; it was love at first sight. This dog lived with me for almost 12 years and, even if it wasn’t a “show dog” or for breeding, made me fall in love with the breed and was a faithful friend for so many years. Mindful of the first experience, not exactly happy from morphological point of view, I bought my ancestor in UK at the famous breeding “My Style”. This female, named “Lady in Red” , was the first pillar on which then I developed my own breeding. From there it all began. That female was then coupled with a subject with a prestigious bloodline and gave me 8 wonderful puppies, among which I’d like to remember the famous “The Undertaker”, that won the prestigious title of World Champion in Poznan in 2006. In the same year I took the affix “My Star” ,recognized ENCI, to better qualify the subjects fruits of our selection. I added over the years the best bloodlines in the world, including Merriveen and Ocobo, and the results didn’t miss for sure. In fact I ‘ve bred over the years several Italian and foreign samples. In 2012, in Salzburg, Austria, I had the great satisfaction of winning again with a subject that I brought up the title of World Champion, this time with one of mine females: My Star Lady Macbeth. 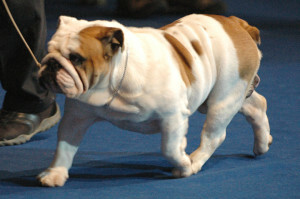 The couplings are made only after a careful selection of breeding and proper analysis of the pedigree. In breeding are preferred elegant specimens without any exaggeration of type, clean heads, without wrinkles’s excess, with a good breathing and correct size. The puppies grow up in the family in order to devote them time and attention from sanitation and behavioral point of view, paying a lot of attention to the imprinting and their socialization. 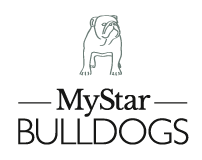 I don’t breed more than 3-4 litters a year of English Bulldog and our few selected puppies are sold only to families and people that we are sure will handle them with care and love as they deserve. The presence of old subjects inside the breeding guarantees attention to the quality of our bulldog’s life and also the good selection in order to obtain healthy and long-lived subjects. 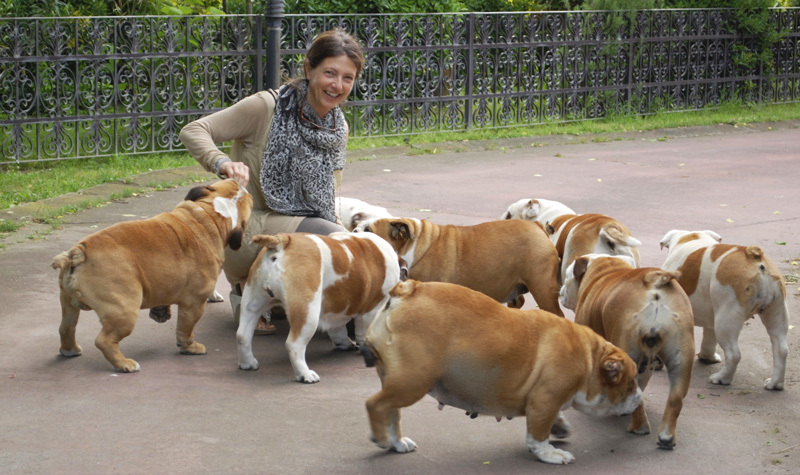 I hope that you too can soon enjoy a magical Bulldog experience in your life!